“Integration is as much about stretching the mind as it is about stretching the muscles,” wrote Adam Benjamin, founder of Candoco dance company, in his book “Making an Entrance”. Jolt Dance real ly began when I was in London in the late 1990s. I was working at a school for children and young people with severe learning difficulties. One day I was invited to watch one of their dance classes. On the way into class one of the students, Ricky, collected a flower. I watched the teacher, Wolfgang Stange (see photo on left), create a dance with Ricky using this flower. Ricky had limited movement but the smallest movements became a dance as powerful as that of the most technically accomplished performer. The dance really impacted on me because it never sought to impose a structure. Instead, it allowed Ricky to express his own creativity. He was not defined by his disability, and it was the integrity of his movement and his ability to be completely within the moment that was so moving. That memory is still very powerful for me. It’s the yardstick by which I still continue to view the work we do in Jolt. Everyone has a right to dance. Disability is not a limitation. Rather, it is an opportunity to explore movement in a new way. I worked with Wolfgang for three years and learned everything I could. So when I returned to New Zealand, I decided to establish a class of my own – and so Jolt, an integrated dance company, was born in 2001. I was lucky to meet an amazing woman, Trish Ventom, the KiwiAble Co-ordinator for Christchurch City Council. She had been looking to support the establishment of performing arts programmes for people with disabilities. At the time there were options for people in sports but not in the performing arts. Trish helped to change this. For seven years, she applied for funding on our behalf and helped us to get our name out there. The Council’s support was really important for Jolt. It gave us the space to grow and develop a vision and structure for our work. It allowed us to focus on finding our voice rather than finding our funding. Jolt’s vision is to create opportunities for disabled people to have their own creative voice. 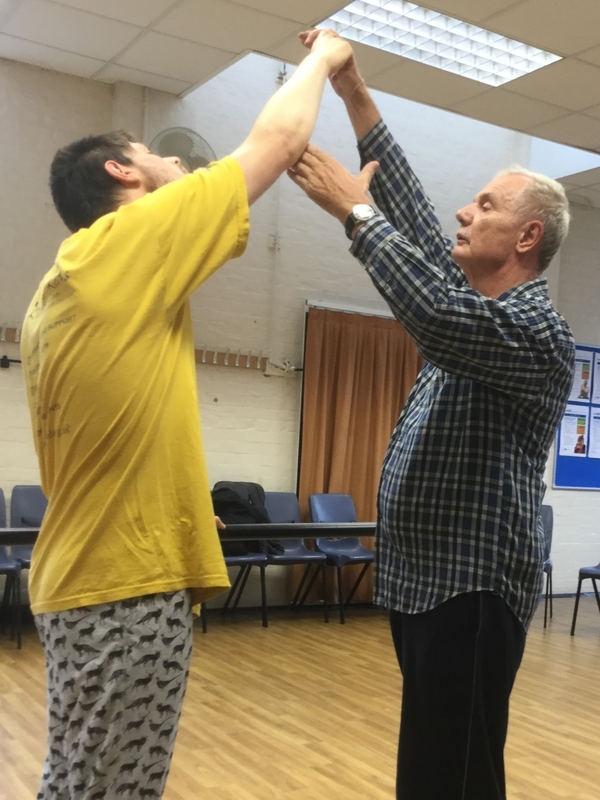 We do this by offering regular dance training, creating performance opportunities that reflect the unique qualities of the dancers, and promoting accessibility and ownership of the arts for everyone. This vision challenges prevailing perceptions about disabled people and ideas about how they should behave. The focus of our dance classes is on creative movement. We don’t want to emulate mainstream dance classes. Rather, we want to build on the dancers’ unique movement qualities, extending and challenging them without changing what is unique. My role within the classes is to look for new ways for people to express themselves. For years, one of the dancers in the company, Alex, did the same style of movement. It was wonderful and quirky but it didn’t develop or grow. I thought this was where he was at but one day I put on an unusual jazz track and all of a sudden he began moving in a completely different way. It was a lesson about possibilities – and to continue to explore them. That’s why it is so important that Jolt’s dance classes are regular and ongoing, providing people with the chance to dance for life. Lyn Cotton is the founder and Artistic Director of Jolt Dance. Original generation time 1.0468 seconds. Cache Loaded in: 0.0004 seconds.